Few translations of the English Bible have been as widely read and as influential as the Geneva Bible—which the University of Wisconsin Press here offers in a first-edition facsimile. Published at Geneva in 1560 by Rowland Hall, the Geneva Bible shaped the theology, the literary expression, and the very consciousness of the Elizabethan world. Earlier English versions of the Bible—the Coverdale and Matthew Bibles, even the Great Bible (published in 1540 and authorized by Henry VIII for use in the churches) — were patchwork translations of inferior quality. But the Geneva Bible was the product of the best Protestant scholarship of its time. It was translated “for the space of two years and more, day and night” by William Whittingham, Anthony Gilbey, and others whom the accession of Mary Tudor had forced into exile at Geneva, then at the height of its ascendancy over the Protestant world. 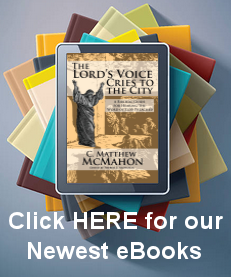 John Knox was there preaching to the English congregation, Calvin was there writing commentaries, and Theodore Beza, one of the most prominent Biblical scholars of the day, was there studying the Greek text. Whittingham and his fellow translators made use of many other versions and commentaries, including the excellent work of Beza, and, more important, they returned to the Greek and Hebrew texts to guide and check their translations—the first of the English translators to employ such exacting and scrupulous methods. The cost of publishing the 1560 edition was borne by the English congregation at Geneva. One of its members, John Bodley, the father of the founder of Oxford’s Bodleian Library, obtained from Queen Elizabeth exclusive rights to the publication of the Geneva Bible in England for seven years. The first edition was extremely handsome and made many influential innovations in the format of English Bibles: it was the first Bible to use roman rather than black-letter type, the first to use verse divisions, and the first to use italic type for words not found in the original sources; it included helpful tables, maps, and woodcuts and was composed in quarto, which made it more convenient to handle and carry than the earlier cumbersome folio versions. The Geneva translators combined impeccable scholar¬ship with remarkable felicity of style. “Remember now thy creator in the days of thy youth,” “Vanity of vanities sayeth the Preacher”—such phrases as these are the great heritage of the Geneva Bible. Its superiority to all previous English versions was immediately apparent. Even the common reader could see that the Geneva Bible’s rendering of Ecclesiastes 11:1, “Cast thy bread upon the waters,” was vastly superior to the Great Bible’s “Lay thy bread upon wet faces.” The Great Bible, despite official approval, gradually gave way to die Geneva: the Geneva Bible or its New Testament went through over 140 editions, the Great Bible only seven. The claim of the Genevan translators, modestly advanced in the preface, “that we have in every point and word, according to the measure of that knowledge which it pleased Almighty God to give us, faithfully rendered the text,” was confirmed by the people, who took the Geneva Bible into their homes and hearts and made it the indispensable household Bible. The King James translators themselves were much influenced by it and took over many of its readings. The Geneva Bible was also exceptionally popular because of its copious annotations and commentaries. During the reign of Queen Elizabeth, who thought much preaching unnecessary, at least half the pulpits in London were empty and the people had to interpret the Bible for themselves. They turned to the Geneva Bible to help them over the hard places, indeed, it has been said that the Geneva Bible taught the people of England and Scotland much of their Biblical exegesis for half a century. The Genevan notes were, inevitably, strongly Protestant and somewhat Calvinist in tone. The Bible’s popularity was greatest, therefore, wherever a strong Protestantism prevailed. It was the preferred Bible of the Puritan clergy in England, Scotland, and America in its time, the first Bible printed in Scotland, and the version authorized for use in the Scottish Kirk. It is thought to be the second Bible brought to America, the Bible the great American Puritan William Bradford cited in his history Of Plymouth Plantation. However, its Calvinist flavor provoked the ire of the Anglican establishment. Recognizing the Geneva Bible’s superiority to the Great Bible but disapproving of its Calvinist tinge, the Anglican Bishops prepared and published in 1568 a new official version, the Bishops’ Bible. But the Geneva Bible outlived it, too, and continued to be published and widely used long after the Bishops’ Bible ceased publication in 1606. The popularity of the Geneva Bible gradually declined during the reign of Charles I, as the Authorised, or King James, Version grew in favor. But among scholars, clergy, and the common people, there were some who still used the Geneva Bible, complaining of the King James Version that “they could not sec into the sense of scripture for lack of the spectacles of those Genevan annotators.” Oliver Cromwell, too, continued to prefer the Geneva Bible, he issued to his troops in 1643 The Soldier’s Pocket Bible, a 16-page pamphlet made up of extracts from the Geneva Bible “which doe shew the qualifications of his inner man, that is a fit Souldier to fight the Lord’s Battels.” So successfully did the Genevan Scriptures (in the form of The Soldier’s Pocket Bible) serve Cromwell’s purpose of inculcating in his men the Puritanical morality and a fighting spirit that the Royalists were forced to issue to their forces, in 1648, a much more suitably liturgical Cavalier Soldier’s Prayer Book. The influence of the Geneva Bible is evident in the language of the greatest writers of its time. Unquestionably, it was the version Shakespeare used. From Falstaff’s comically pious catechizing of Prince Hal to King Lear’s dark and thundering lamentations on the frailty of human life, the phrasing of the Geneva Bible can be heard. Language peculiar to the Geneva Bible echoes throughout the plays and attests to Shakespeare’s intimate knowledge not only of the Genevan Scriptures but of the notes as well. The Geneva Bible was also known and used by the two great Puritan writers of the next century—John Bunyan and John Milton. Many writers of the sixteenth and seventeenth centuries knew the Geneva Bible; and its influence on the English language, both directly and through die great writers who echoed it, is incalculable.